Welcome to the Samaritan house! 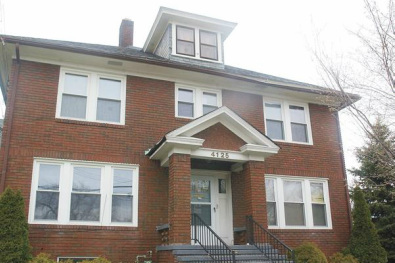 The Samaritan House is a non-profit organization in the city of Ashtabula. It began as an idea with a group of area ministers in 1987. They met to discuss the issue of homelessness in the Ashtabula area. The ministers had noticed people coming to their churches asking for help with a place to stay because they were homeless. In response, the Messiah Lutheran Church made their former church parsonage available to be used as the homeless shelter. Supporting the shelter, the City of Ashtabula provided a block grant to bring the house up to code. In November of 1989, we served our first homeless clients. Twenty-Seven years later, we have served about 5,300 different residents including single adults and families with children. The shelter can house up to fourteen people at a time and last year served 124 different people. While we have served people from all over, most of our residents are from Ashtabula County. We are funded by several sources including the Ohio Department of Development, United Way of Ashtabula County and FEMA. Local contributions from area churches, companies and private citizens also serve a vital role in the support of the shelter. Your help and contribution in running the shelter is very important to us. All donations are welcome and deeply appreciated.